I love this photo of big brother snuggling his newborn brother, in his own bed at home. 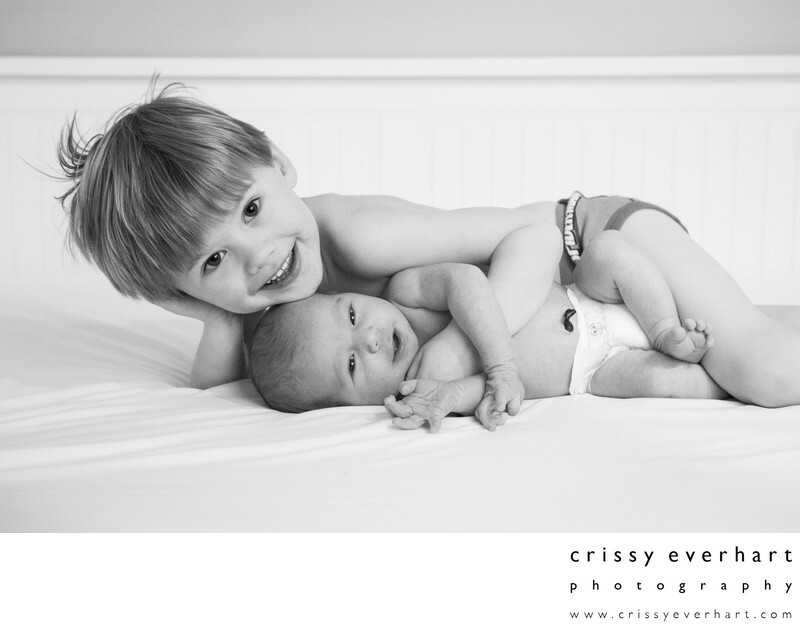 The baby wears only a diaper, you can see his umbilical cord still, and the big brother, with slightly imperfect hair, wears only his superhero underwear. I love the connection between the two brothers, even only one week into their relationship.